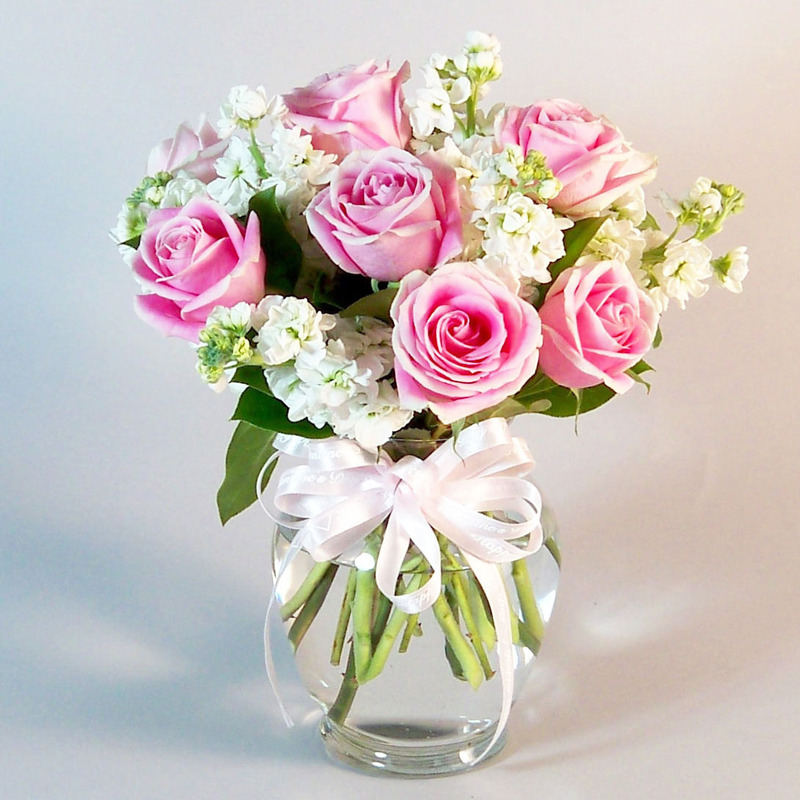 Mom will love this tender, sweet arrangement of pink roses and white stock. Very simple but the pairing has a nice soft tone to it and we finished it off with a pink bow around the neck of the vase. Standing in at 14″ tall and 10″ wide. Great for the kitchen or even the night stand.